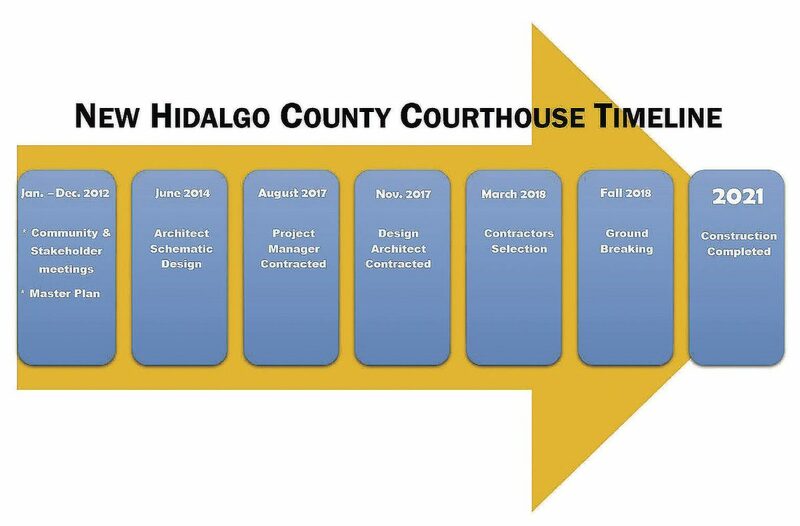 As Hidalgo County Commissioners have for the past few months steamrolled through a litany of decisions regarding the new Hidalgo County courthouse — hiring a project manager at risk, contractor, special counsel, architects, and last week approving a new slimmed-down schematic design — we are concerned that this process, which has taken years to get to this point, is now moving too fast. Considering that two of the five members on the commission will be replaced in 2019, perhaps the court should hit the pause button, at least until the new commission is fully on board. The new incoming county judge and commissioner for Precinct 4 could very well have very different ideas as to how this new facility should be built, where it should be built, the cost and possibly even if it should be built, at all. Is it prudent to spend taxpayer’s money now on plans that could very likely change? It’s no secret that a large faction of the public opposes this project. And, of late, we are hearing that at least two other options are being bantered about and have reached the ears of the two new likely commission replacements. The court must move cautiously right now so that no excess funds are needlessly wasted. Already millions of dollars have been spent on schematic designs, that date back many, many years and have changed many times. 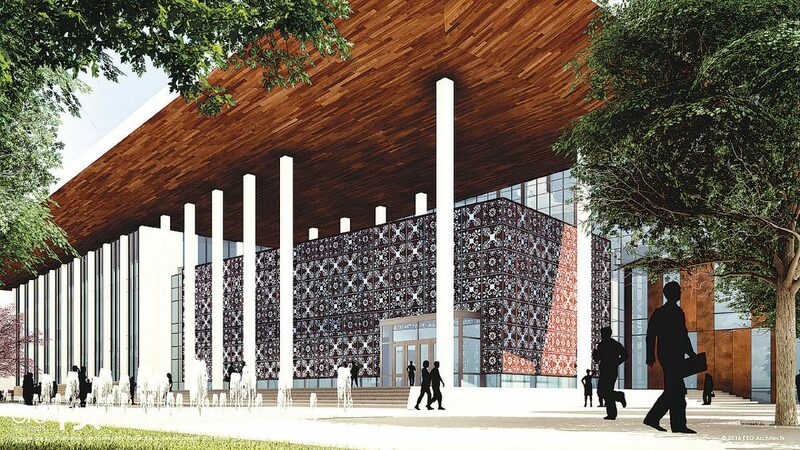 Last Tuesday, these designs changed yet again, when commissioners voted to approve a new schematic design that will reduce the total square footage by 43,000 and drops the total construction cost estimate to $113 million, down from about $127 million. John Niesen, courts planner project manager for HDR Architects, told us most of these reductions will not change the overall design, but they were able to “shrink” some spaces, such as lowering each floor’s story height to 15-feet, instead of 18-feet, and by narrowing some corridors and stairwells. Also, key was what he calls “value engineering,” whereby “we revisited with each department to make sure their needs were met but tried to cut costs where possible,” he told us last week. Niesen said costs really dropped when they were able to plug in the actual fees, based on this design, to Morganti Texas Inc., the Houston contractors that commissioners officially hired on March 13. Before that critical hire was made, Niesen told us, everything was a rough guesstimate. 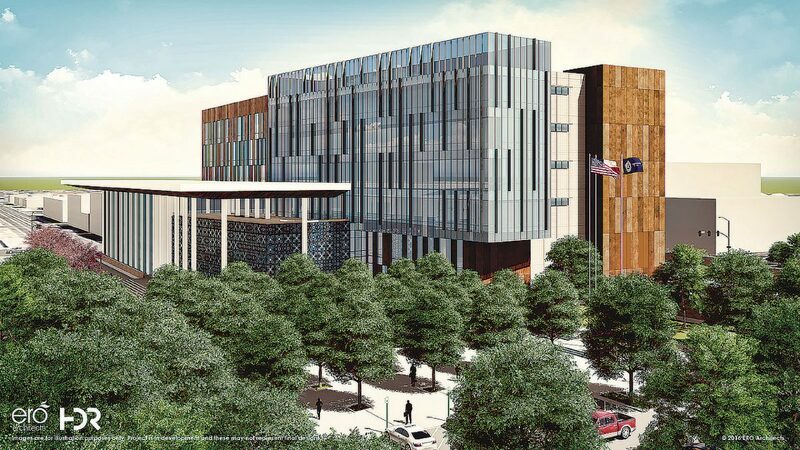 By approving this new schematic design, commissioners have just officially launched this project into Phase II, or “Design Development,” which will begin implementing these designs into actual concepts. Any significant changes from this point on will be costly and difficult to change, and so now is the time for the court to seriously reconsider whether this timeline is in everyone’s best interests. What if the new court — which takes over in January 2019 — goes a different direction entirely? Democratic county judge candidate Richard Cortez told us last week that if he is elected in November then he would be open to studying any and all feasible courthouse plans. “I honestly believe that the county judge and commissioner’s court has a duty to look at any alternatives that are available, even at this late in time, to give all taxpayers the confidence that this is the best that can be done before moving forward,” Cortez said. A project of this magnitude needs that type of fair and objective thinking. That’s a great point and kudos to her for taking the time now to be educated on this important subject before she takes office. One proposal that was brought to the attention of The Monitor’s Editorial Board last week by Kent Burns, of Burns Brothers Development, would be to revive a previous proposal to relocate the courthouse near Burns’ 726-acre La Sienna development on U.S. 281 north of Monte Cristo Road. Burns is apparently offering 20 acres to the county for free. Of course, the current land that the Hidalgo County courthouse sits on also was donated for free. But if moving the entire facility several miles north is a viable option, then there are other considerations such as whether the City of Edinburg would still kick in $30 million (although they haven’t yet done so officially) and what would happen to the $20 million in MPO state road improvement funds that have already been negotiated for the current courthouse site? We’re not advocating for a change in location or plans, but merely stressing that with County Judge Ramon Garcia stepping down and Palacios leaving office, the players in this project will change and the new officials should be given the opportunity to explore all options. Plunging forward and making expensive decisions on a project that two-fifths of the five-member board will not be around to see to fruition could be a costly gamble that our county can’t afford.